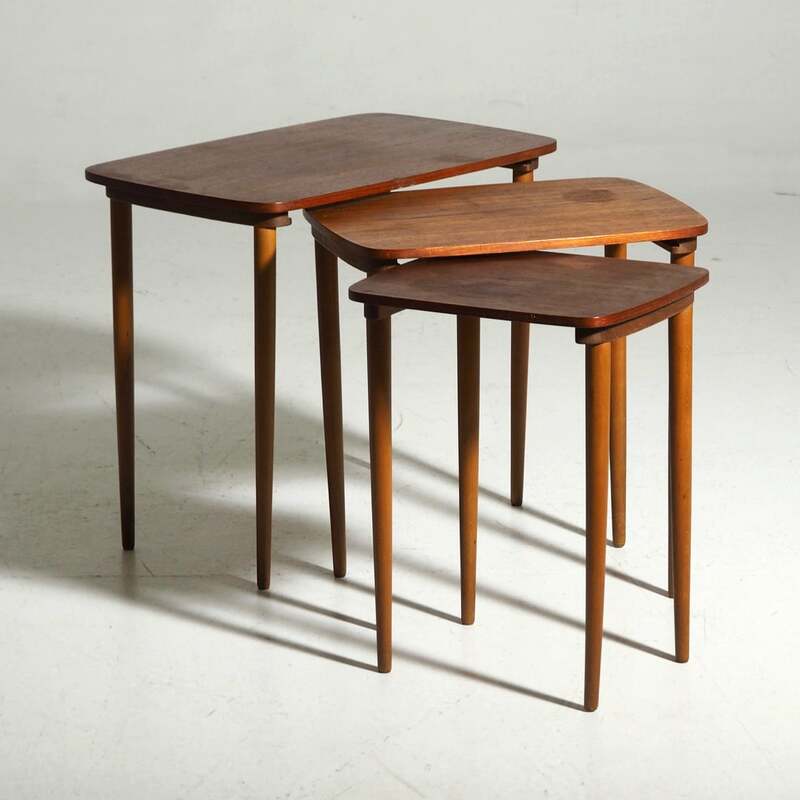 Categories: Period Furniture, Mid - Century / 1950 - 1970. Tags: 1960, DENMARK, NESTING TABLE, SIDE TABLE, TABLE, WOOD. 20.5 H in. x 23.5 W in. x 15 D in.